3 Reasons to Go Electric With Your Next Side-By-Side | Intimidator Inc.
Electric vehicle. These two words don’t usually paint a pretty picture for those who love spending their weekends tearing up the trails. 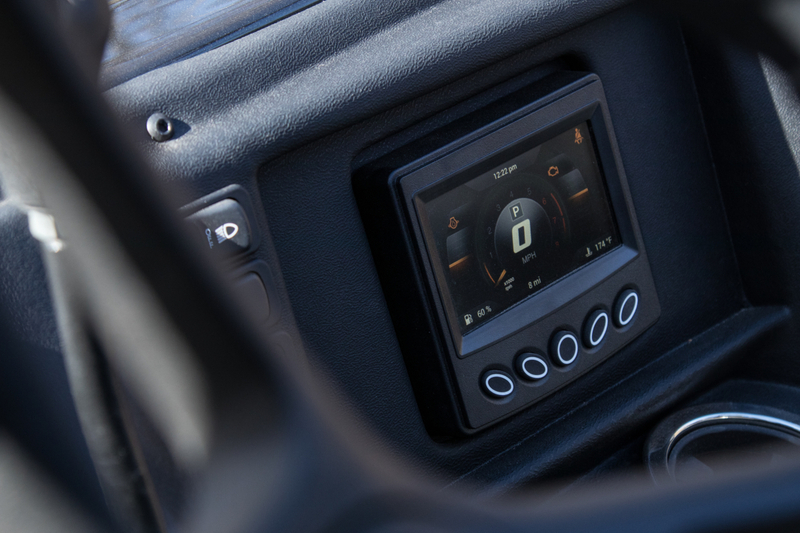 However, the truth is electric vehicles have made huge leaps and bounds with technology and are proving to be a strong competitor in the UTV world. Need a little more convincing? Here are just a few reasons we think that you should give electric UTVs a try. Is this thing even turned on? This is a common question when someone gets around an electric SXS because they make little to no noise. At first, this is a little strange, especially to those who are used to loud and/or modified engines. However, you will love the fact that you can easily carry on a conversation while riding without having to pull over, slow down, or yell. Another plus to electric UTVs is that they don’t produce strong fumes. If you have ever been a part of a big ride with friends or around a fleet of side-by-sides, then you know all too well that diesel and gas engines can produce choking fumes. The combination of very little noise and no fumes is what makes electric UTVs the best option for indoor facilities and factories. Get where you need to be, haul heavy loads back and forth, and even communicate easily when you choose to go electric. Now, you are probably wondering about the power of an electric UTV. Electric vehicles operate on battery power. Over the last few years, battery packs have been designed to hold power twice as long as their predecessors and charge quickly. One thing that you get with an electric UTV that you won’t get with a gas or diesel UTV is instant torque power at 0 RPM. In fact, many electric vehicles offer some of the highest torque when compared to gas or diesel counterparts. Electric UTVs are also known for being easy to maintain since there are fewer moving parts. You don’t have to worry about spark plugs, fuel filters, air filters, or other replaceable parts. You also don’t have to worry about expensive gas prices. It only costs pennies on the dollar to “fuel” up your electric UTV. This is great for businesses who use several vehicles or for individuals who use their ride each day. One of the most popular uses of an electric UTV is hunting. The near non-existent sound of an electric UTV allows you to get where you need to be while not scaring away any potential game. You can get your gear unloaded, get set up, and get the action started a lot faster. Check out the Intimidator Classic Series with the 48-volt brushless electric motor that offers 30 peak horsepower and 120 lbs of torque. This ride can reach speeds up to 23 mph depending on the terrain and the weight. And when you do get that prize-winning shot, this electric side-by-side has a 700 lb cargo bed capacity and a 1,500 lb towing capacity. 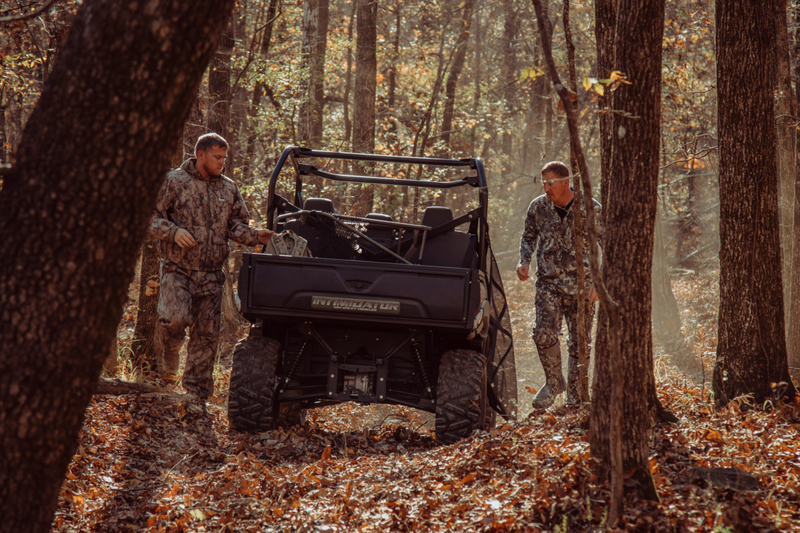 Add the Realtree Camo upgrade to the Intimidator Classic, and you really have one of the baddest hunting machines on the market and one of the best electric UTVs available in its class. Sometimes, you have to see it to believe it. If that’s the case, then use our DEALER LOCATOR to find an Intimidator UTV Dealer near you. Check out our full line-up of off-road side-by-sides. 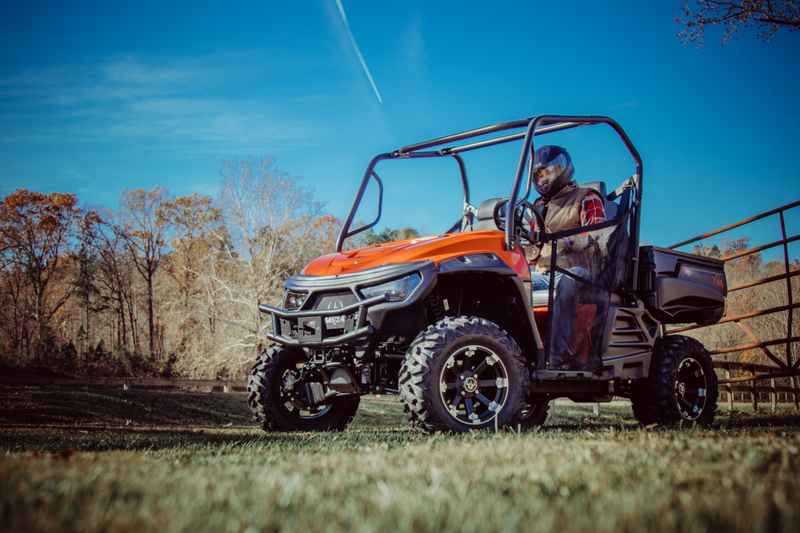 From UTVs to help you lighten the load around the farm to UTVs designed to go fast and tear up trails, we have a vehicle for you. Use our BUILD YOUR OWN INTIMIDATOR feature to see just how easy it is to customize. You can even COMPARE MODELS to see how the specs match up.